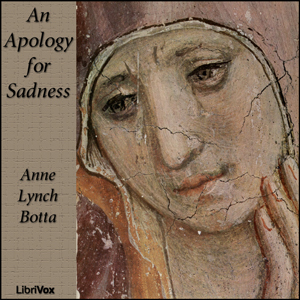 LibriVox volunteers bring you 10 recordings of An Apology for Sadness by Anne Lynch Botta. This was the Weekly Poetry project for March 13, 2011. Anne Charlotte Lynch Botta was an American poet, writer, teacher and socialite whose home was the central gathering place of the literary elite of her era.